I have known about this book for awhile, but I have to be in the mood for a memoir. It's not one of my go-to genres. I have wanted to train to hike portions of the Appalachian Trail for awhile now, so I thought this might be a good read. I was hoping that Cheryl Strayed would help me understand what to expect - even though she was hiking a vastly different trail. 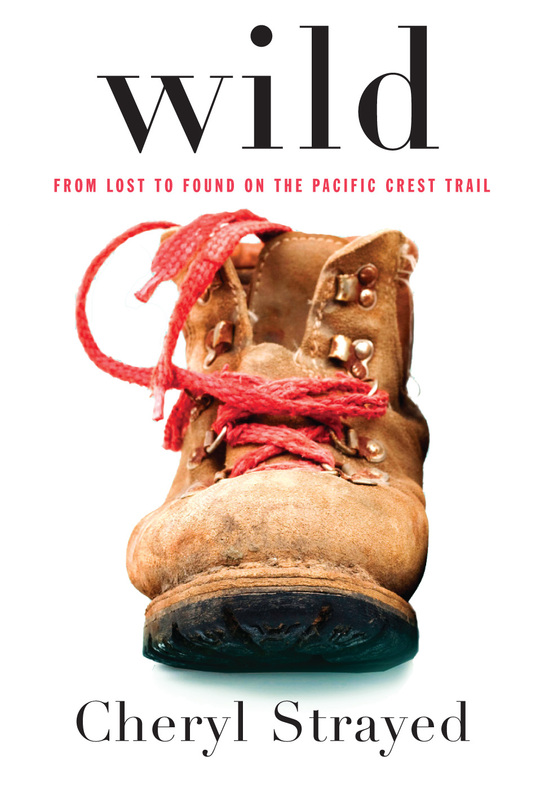 In addition, the memoir was brought back to my attention by the recent reboot of Gilmore Girls when Lorelei reads the book and takes off for the Pacific Crest Trail. I have plans to watch the film starring Reese Witherspoon, but wanted to read the book before tackling the Hollywood version. Cheryl's life isn't one I would want to emulate. It's full of heartbreak and wrong turns. She loses her mother to cancer as a young woman; this moment will define her path and send her into directions she never thought possible. She no longer wants to be in a classroom studying for her college degree or living as a devoted wife. Strayed begins to forge her own way through the underbrush of life - taking some wrong turns and engaging in self destructive behavior. Eventually, she gets the idea to attempt to hike a portion of the Pacific Crest Trail on her own. She feels she has nothing to lose after all, so before she can talk herself out of it or think about how woefully unprepared she may be for the weeks of hiking, Strayed begins making plans. The majority of the novel focuses on Strayed's experiences - both positive and negative - on the trail as she seeks to find her place in the world and work finally work through the immense grief that swallowed her after the death of her mother. I would not have made some of the life choices Strayed made, but I applaud her for not sugarcoating things. She tells it like it is and illustrates how everything leads her to a strength she never knew she possessed. There is something healing about nature. Many of us enjoy losing ourselves in the wilds when life gets hectic and stress threatens to overtake our happiness. This memoir reminds me that I need to give in to my cravings more often and hit the dirt path that will lead me to a clearer mind and a heart of adventure. One Last Gripe: Some of Strayed's darker moments in life pre-trail were difficult for me to read. Favorite Thing About This Book: I liked the resiliency and courage of Strayed. I haven't seen the movie yet, and never heard of this book. Living so close to the AT, we often meet people who have been hiking. I think it's amazing that they are so dedicated and committed to the hiking experience! Heard a lot about this; not sure if it's up my alley either as far as memoirs go. I would read it though.